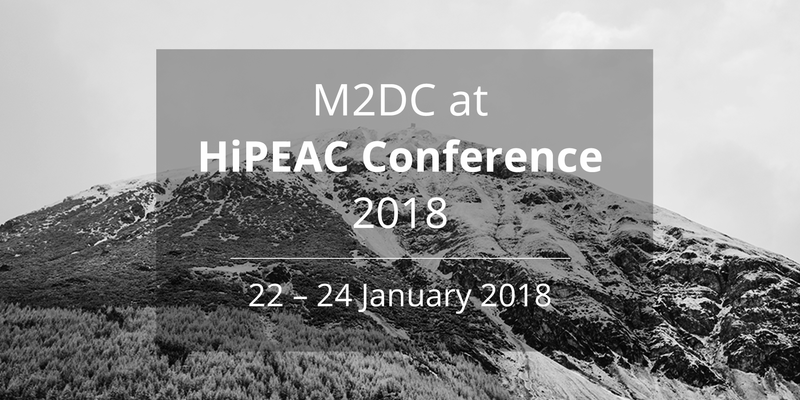 Jan. 8, 2018, 3:28 a.m.
Presenting our new technology at the M2DC booth, participating in several workshops, with poster sessions, the M2DC team was given the floor at this year’s HiPEAC conference. #HiPEAC18 will take place in Manchester, January 22-24, 2018. It is the premier European forum for experts in computer architecture, programming models, compilers and operating systems for embedded and general-purpose systems. It will include associated workshops, tutorials, special sessions, several large poster sessions and an industrial exhibition running in parallel with the conference. M2DC will be present with a technology booth showing the latest achievements – meet us there!